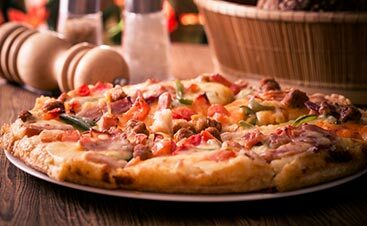 When a pizza is often piled high with meats, it can be challenging to find delicious flavor combinations that will satisfy a vegetarian. However, pepperoni, beef, sausage, ham, bacon can all be switched out with zucchini, broccoli, mushrooms, olives, and even potatoes and squash! 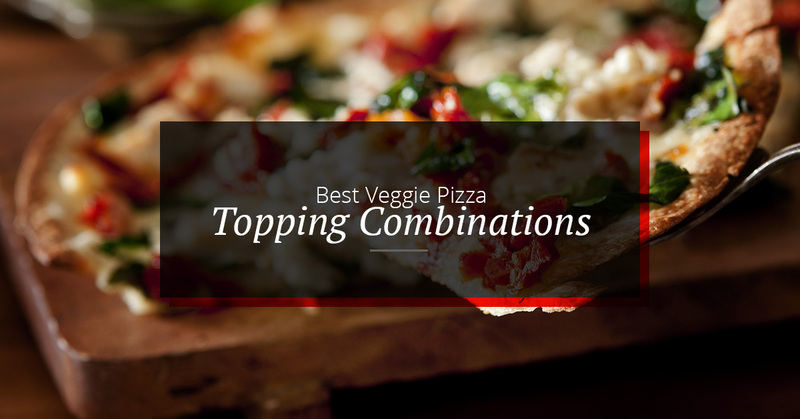 A vegetarian pizza doesn’t have the be the same old same old, mix it up with amazing flavor combinations that even meat lovers will be jealous of. The key to creating a delicious zucchini pizza is cooking the vegetable so that it’s not mushy, but has a slight crisp to the skin and a nice brown color on the inside. Keep the peppers and the onion fresh on the pizza and they’ll cook up perfectly in the oven to match the texture of the zucchini. 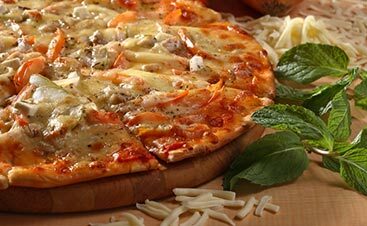 A tomato base is optional, but a drizzle of olive oil and a splash of lemon will add a great finish to the pizza. Not much of a surprise here, many delicious vegetarian pizzas feature this bright green and crispy vegetable. With just one main topping, you might be wondering what else is on the pizza? The trick to making a broccoli pie savory and filling is the addition of garlic, parmesan, and mozzarella. 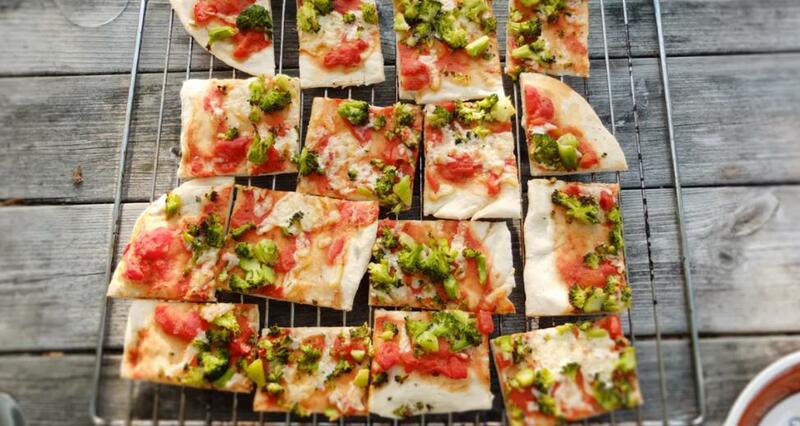 The crunchy, bright flavor of the broccoli, a light browning of the cheeses adds some smoke, and the garlic gives it a touch of nutty sweetness that completes the pizza. Squash on a pizza might be a surprise, but this combination is perfect for this time of year. Roast up the squash and onion with some butter and you’ll get some sweet toppings that match beautifully with the saltiness of the black olives. Keep the crust clean with a drizzle of olive oil and finish the pizza off with either smoked mozzarella or gruyere, which adds another mild level of saltiness. This incredibly earthy combination may be your next favorite vegetarian pizza. Great pizzas all have a balance of salty and sweet. So get your salt fix with the olives and capers, the mushrooms give the pie a meaty texture, add mozzarella while baking, and sprinkle some gouda on top after for a truly balanced pizza. Another untraditional combination includes thinly sliced potatoes seasoned with rosemary, paired with caramelized onions, garlic, olive oil, and parmesan. This vegetarian pizza will forever change your mind about what pizza toppings “should” be. The starch of the potatoes, sweet onions, savory herbs, salty cheese, and a thin, crispy crust will be like tasting a bit of heaven. Give it a try tonight. Just because vege is in the name, doesn’t mean the pizza needs to have vegetables on it! Add some sweetness and a recognizable texture with pear, balance that with onions, gorgonzola cheese, and a layer of arugula and this pizza gives you a fresh alternative to the standard toppings. Vegetarian pizzas are plain and boring no longer! 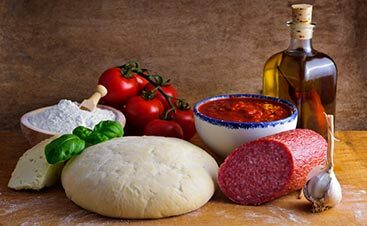 When you’re looking for a blend of flavors that many pizza lovers are missing out on, these combinations will easily fulfill your cravings. Bright and fresh ingredients, rich flavors, on top of crust that is chewy and satisfying — find it all at Upper Crust Pizza. 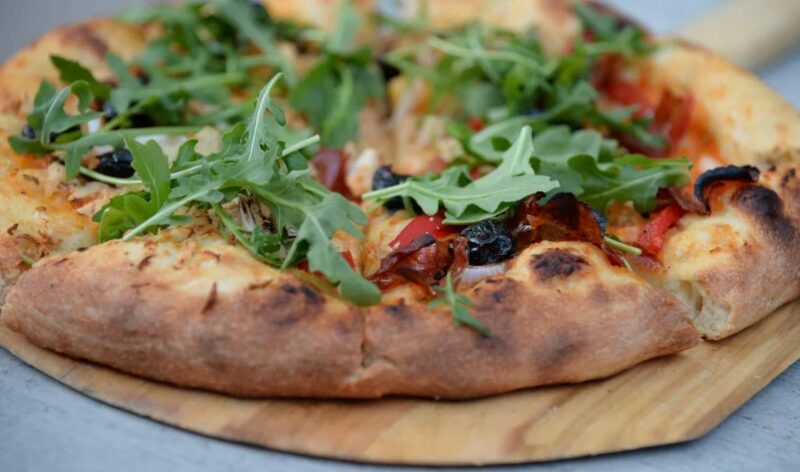 For an experience like no other in Santa Fe, visit our restaurant tonight for a family friendly pizza night.